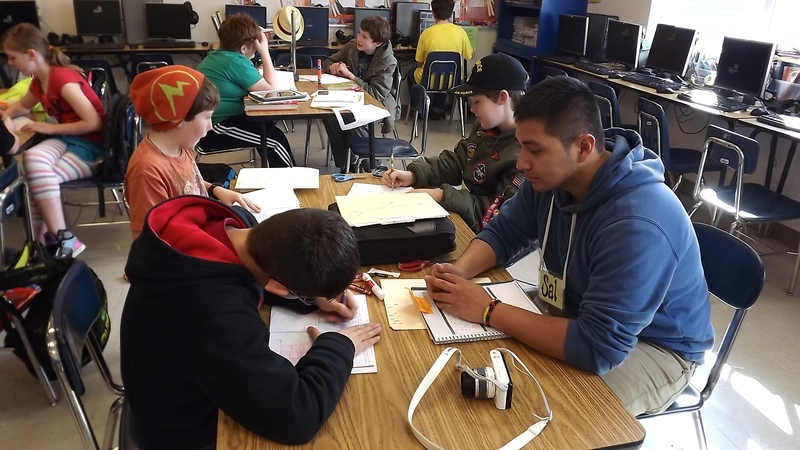 A first-generation student from a migrant farming family, Salvador Gomez is donating his spring break to the Pipeline Project, tutoring and mentoring children in rural Washington whose childhoods remind him of his own. The son of migrant farmers in Eastern Washington, Salvador Gomez spent his summers as a kid in the orchards, picking apples, cherries, peaches and pears for seven or eight hours a day, sometimes in 100 degree heat. In the winters, Salvador would prune beneath feet of snow. “We were always working together and helping each other out,” says Salvador, whose parents came to the states from Mexico just before he was born. Now, Salvador — a senior in American ethnic studies with a minor in Spanish — is helping out the next generation of sons and daughters of migrant farmers through the Pipeline Project, which connects UW undergrads with K–12 schools around Washington. Every year, more than 80 Huskies happily spend their spring breaks across rural areas of the state, living with host families while tutoring and mentoring students from wildly diverse backgrounds. For Salvador, it all started with Jumpstart, a program that links UW undergrads to low-income Seattle preschoolers. During his sophomore year, he spent two days a week tutoring 3- to 5-year-olds, and eventually became a Jumpstart team leader — a job he’s held ever since. His passion for helping others was recognized, and he was encouraged to apply to be a team leader for the Pipeline Project, too. Salvador Gomez works with students in a classroom in Long Beach, Washington. In 2014, Salvador led a crew of four to Long Beach, Washington, where they created a hand-bound book from scratch called “The Words Under the Words,” in which students shared something many people wouldn’t know about them, such as a special talent or goals for their future. “Reading some of their stories, you just bust out laughing,” says Salvador. “Others of them are so emotional that you just tear up; you don’t know how to react to the fact that they’re so willing to open up to you like that.” And the students open up outside the classroom, too. “We’ll go out and play with them during recess and we’ll have lunch with them, and they just really look up to us as these role models that they want to grow up and be like one day,” he continues. For Salvador, leaving the life he once knew to come to the UW was a challenge, especially as a first-generation student. “Adapting to the new environment was quite difficult for me,” he says. But he wasn’t alone, thanks to the College Assistance Migrant Program (CAMP), which offers support to first-year college students from migrant farming families. 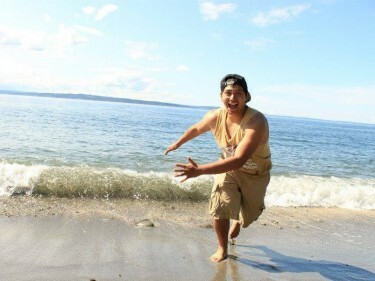 It transformed the way Salvador adjusted to his new life, and when he had the opportunity to show high school students from migrant farming families around the UW through CAMP’s Dare to Dream Academy the summer after his freshman year, it transformed the way Salvador thought about his future, too.